After a record-breaking opening, Aamir Khan's Thugs of Hindostan saw a significant slump in the earnings. 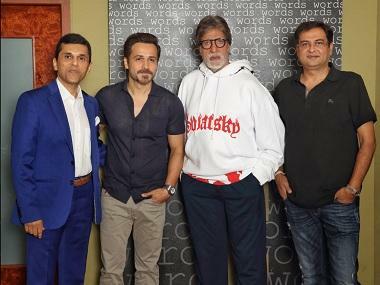 The Yash Raj Films' Diwali watch garnered. The film collected a massive Rs 52.25 crore, surpassing all records set by this year's blockbusters. On Day 2, the Hindi version of the film raked in Rs 28.25 crore while the Tamil and Telugu versions brought in Rs 1 crore, combined. Trade analysts believe that the film will have to hold its ground on Day 3, otherwise it will not be able to emerge a massive hit. The Hindi film's two day total stands at Rs 79 crore. It's overall two day total (Hindi+Telugu+Tamil) is pegged at Rs 81.5 crore. Set in the British-ruled colonial India of the 1800s, the film introduces Khan as Firangi Malla, who serves only his self interest until he encounters the freedom fighter Azad, played by Bachchan. Directed by Vijay Krishna Acharya, the film also stars Katrina Kaif and Fatima Sana Shaikh in supporting roles. This is the first collaboration between the two actors and has went on to become the top grosser earning even more than Sanju, Race 3, Gold and Baaghi 2 on the very first day of its release. The film was panned by the critics but some reviews remained appreciative of Khan's efforts in bringing Firangi alive on screen.